You can get the services of a doctor at Wits if you have R400 for a consultation. This is as much as private health care. There is nothing that can be done about the high cost of a doctor at Campus Health, Wits Vuvuzela was told this week. The university does not pay for the services of a doctor; it merely pays for the four nurses. Meanwhile, students are adversely affected by the expensive cost of medical care because many of them don’t have medical aid and are unable to afford a private practitioner. The students complain that R400 is too much for their pockets. 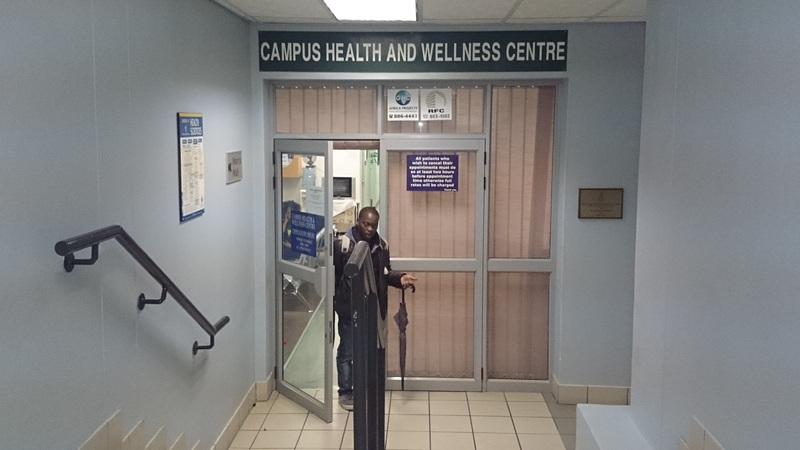 For R50 at Campus Health, students have access to a nurse who provides basic services. Some of these services are free and include testing for HIV and Sexually Transmitted Diseases (STDs) but if it’s serious you can be referred to a public hospital where you can see a doctor for free. Campus Health has inadequate resources, which prevents the hiring of an in-house doctor and only four nurses are available to deal with thousands of students every year – about 30 000. The doctor on campus is a private practitioner who only deals with students who can afford his services. Education campus operates with one nurse who is at maximum capacity. She stated that a patient is treated in the clinic every 15 minutes and also clarified that the doctor on campus is not hired by Campus Health or the university. He simply rents the space. Students who can’t afford to pay the nurses fee are still treated and it is charged to their student account, which is paid at the end of year. She said that students can help deal with the influx by not playing pranks. They often call for an emergency nurse on campus when there is no emergency. This disrupts the flow of services. However, Campus Health is in the process of hiring an extra nurse to deal with the influx.